"The huge cost, time and material needed for gigantic traditional optical space telescopes with large curved mirrors can be slashed." 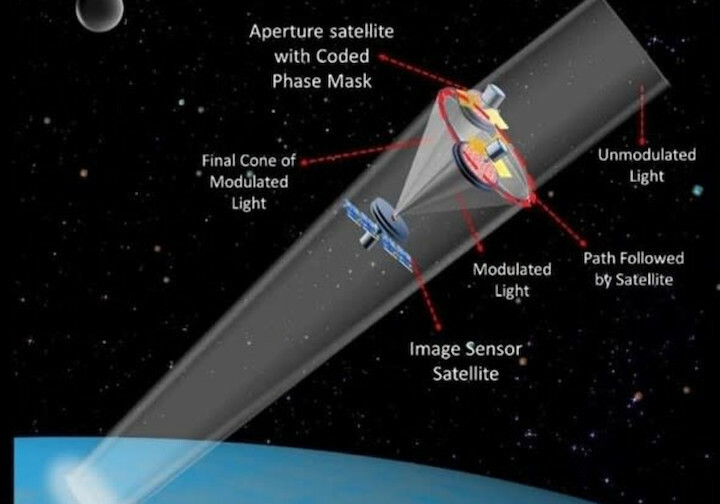 Researchers at Ben-Gurion University of the Negev (BGU) have created a satellite imaging system that greatly improves images taken by telescopes and cameras in space. An article in this month’s issue of the journal Optica discusses the Synthetic Marginal Aperture with Revolving Telescopes (SMART) system that uses numerous nanosatellites positioned in a spherical shape to produce a single image from multiple lenses. PhD candidate Angika Bulbul, working under the supervision of Prof. Joseph Rosen of the Department of Electrical and Computer Engineering at BGU, explains the ground-breaking nature of this study, saying it proves that by using a partial aperture, even a high-resolution image can be generated. This reduces the cost of traditional large telescopic lenses. “We found that you don’t need the entire telescope lens to obtain the right images. Even by using a partial aperture area of a lens, as low as 0.43%, we managed to obtain a similar image resolution to the full aperture area of mirror or lens-based imaging system. The huge cost, time and material needed for gigantic traditional optical space telescopes with large curved mirrors can be slashed,” she said. The team at BGU constructed a miniature model with a circular-shaped display of sub-apertures to test an image’s resolution. The researchers then contrasted these images to those produced by direct imaging systems, which have similar dimensions of the whole aperture and are based on a layout of annular sub-apertures. Dr. Vijayakumar Anand, a postdoctoral fellow at BGU, also contributed to the research.